The box might not be as lavish as the ones from Infocom's glory days, but it's still a lovely and hefty thing packed with two huge books, many maps, and lots of 5.25" and 3.5" disks containing 20 classic pieces of interactive fiction. 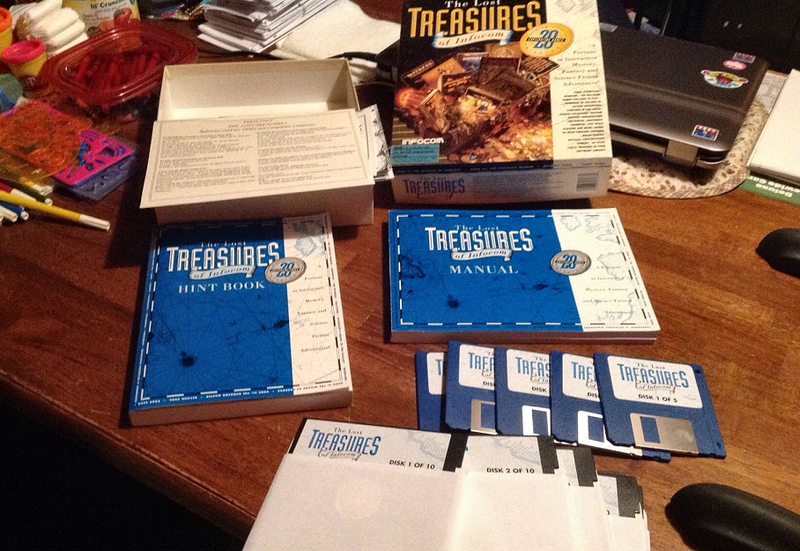 Yes, bidding on this finely preserved, boxed, MS-DOS version of The Lost Treasures of Infocom on eBay is a wise thing to do. From Planetfall and The Hitchhiker's Guide To The Galaxy, to Zork and Deadline, this is a box that will provide you with hundreds of hours of quality, texty entertainment. Seller ships only within the United States.